Dave is an Ipswich resident and President and CEO of the Essex County Community Foundation. The Foundation serves 34 communities in Essex County through needs based charitable grants and assistance to area non-profits. Their goal is to get people to “give where they live”. Last year, their grant making totaled over $4 million. Dave’s passion and experience will be a strong addition to the club’s community projects and services outreach in Ipswich and Rowley, where our humanity in motion and direct financial aid improve lives. Ipswich Rotary welcomes Dave to the Rotary family of service minded leaders. 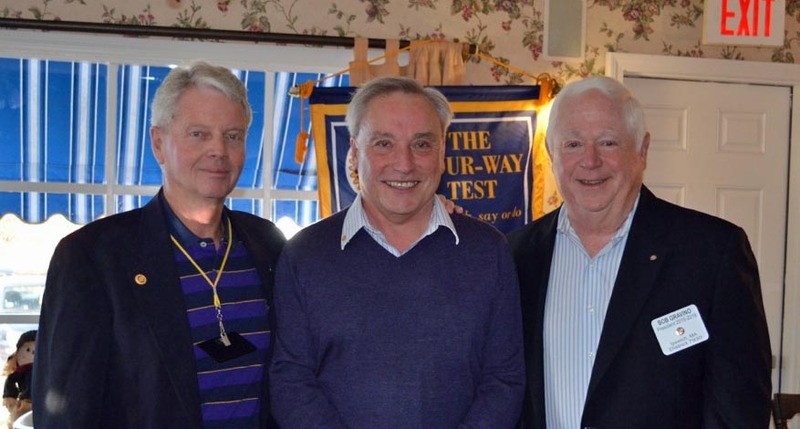 Seen in the photo are Dave's sponsor Lee McNelly, Dave Edwards, and President Bob Gravino.